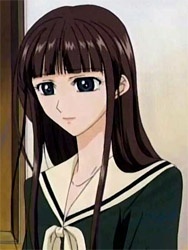 Sei Satō's ex-lover and best friend who was Sachiko Ogasawara's classmate. Her parents died when she was young. She left Lillian in her first year to pursue her dream of becoming a nun, which broke Sei's heart.